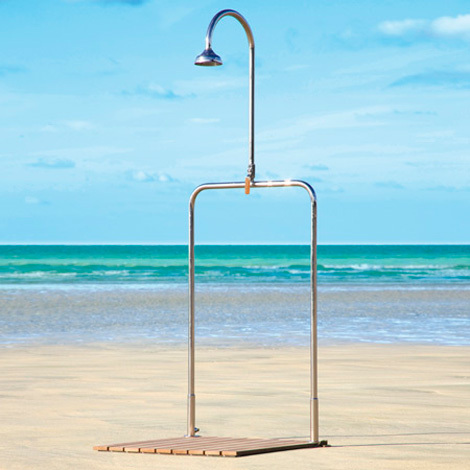 The Delta Shower by Inga Sempé | A contemporary gallery of art, design, film and music. I have designed and built not one, but two different outdoor showers in my life. Both required the design to integrate into the landscape. As much as I like the simplicity of Inga Sempé’s Delta Shower that hooks up to a garden hose, I have to brag that mine had cold and hot water.